Full Pack IIT JEE Physics Video Lectures. 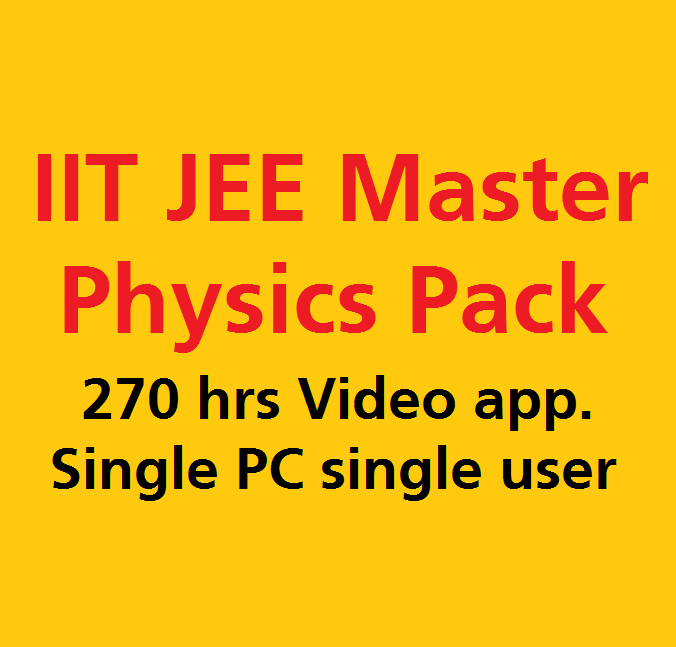 It is built with 270 hours of videos of physics for IITJEE and other competitive engineering exams. The major topics covered under these are Mechanics with 70 hours of video lectures, Electricity and Magnetism with 78hours or videos, Optics and Modern Physics with 59 hours of videos. Mechanics is one of those subjects which you might deeply fall in love with. Mechanics is to be understood in depth and also holds the longest share in Physics. This also helps you learn the basics and fundamentals of the subject. This topic in the video helps you out with the most vital preparations for IIT JEE. Progressing through the course, you will get lecture videos which are taught by expert Physics professor, multiple choice questions and questions which you may encounter on the big day. This advantage for students to score better in boards exams as well. Past 35 years IITJEE papers solutions are also included along with AIEEE papers. This is valid for an only 1 PC and for one person only. It comes with a 2-year license.